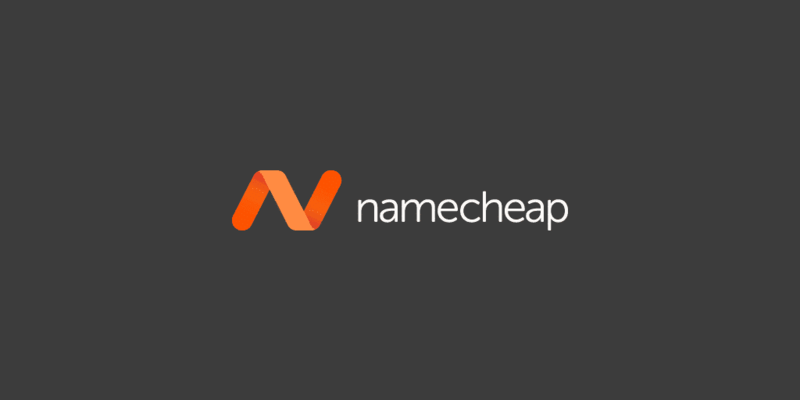 Namecheap, an ICANN accredited registrar, has issued over 5 million domains and is a very popular choice among WordPress users because they are cheap, have great customer service, and have maintained a strong anti-SOPA position. They have been helping people get their names on the web since 2001. When you are pointing your domain to Kinsta you have two options, the first is to use an A record, and the second is to utilize Kinsta’s premium DNS feature with Amazon Route 53. The first option requires that you actually add a custom A record with Namecheap that points to your assigned IP at Kinsta. First, log in to your Namecheap account dashboard. Click into the “Advanced DNS” tab and then click on “Add New Record.” If you see an A Record that already exists you will simply need to edit it (skip to the next step). You will need to select “A record” in the dropdown and input the IP address we provide you. This can be found in your MyKinsta dashboard under your sites “Info” tab. 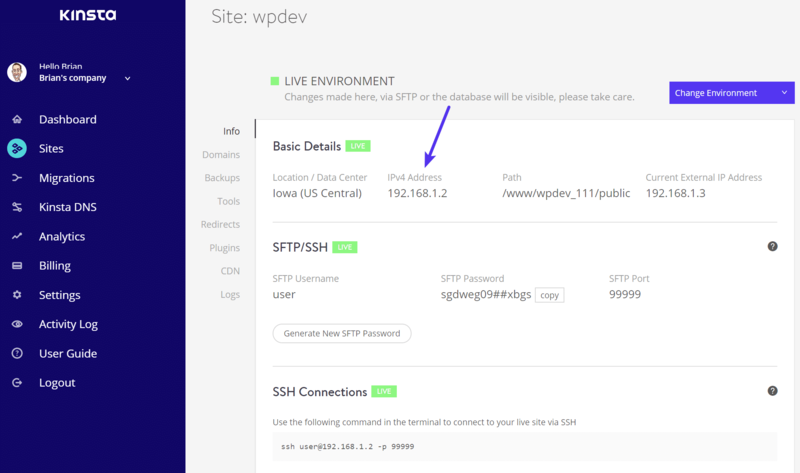 Input @ for the host and take the IP address from the Kinsta dashboard and input it into the value field. You can leave the TTL as automatic and click the green check mark when finished. It may take a few minutes for your A name record to propagate everywhere. You can use a free tool like What’s My DNS to check if your A records is pointing correctly. And that’s it. Your domain is now pointed at Kinsta. 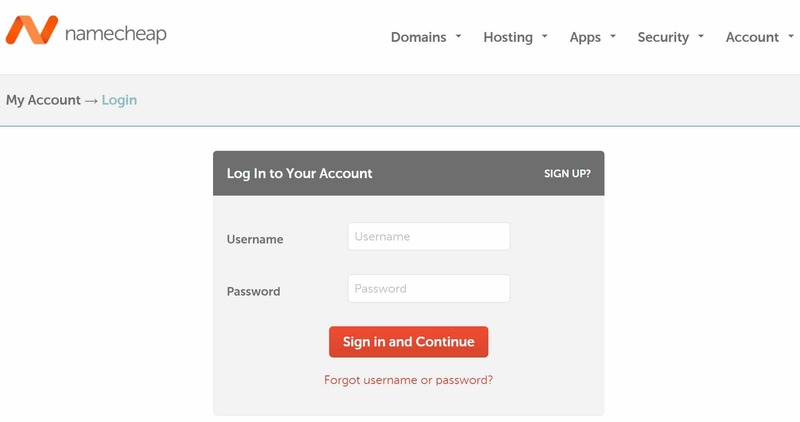 Below we’ll walk you through how to add an A record for a subdomain with Namecheap. 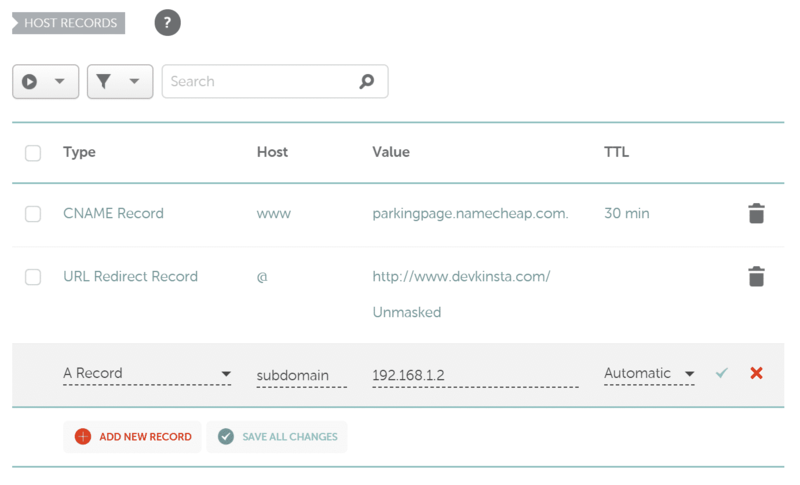 Choose A for the record type and input your subdomain for the Host. Important: Don’t enter your full domain name, only the subdomain part. Example: subdomain.yourdomain.com. Then enter in your Kinsta IPv4 address from the MyKinsta dashboard and click the green check mark when finished.